Avengers Infinity War was the first Marvel movie that focused more on a villain. We experienced various events in the film through his perspective, and this lends a refreshing take on the Superhero genre. The movie was not only shouldered on one villain, moreover, we were also introduced to new villain along with existing ones that have appeared in earlier films. Loki appeared quite early in the movie, and soon he was killed by Thanos for once and for all. Then we got the surprise when Red Skull came out of nowhere to help Thanos achieve his goal. Alongside this Thanos also brought his team named ‘Black Order‘ and they played the crucial role in giving the major blow to Avengers in the very beginning. Other villains(Avengers 4 villains) who made an appearance in the Infinity war include famous Chitauri who wrecked havoc in the first Avengers. We have witnessed how big Avengers Infinity War was and now with Avengers 4, the movie will mark the culmination of phase 3. Get ready to witness more powerful villains which will keep the stakes much higher. 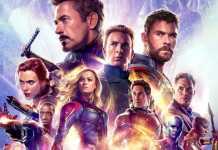 The new team of remaining Avengers will not only face the deadly Thanos, but there is a list of Avengers 4 villains that are either confirmed or rumoured to appear in the movie. Loki from the very beginning has remained the primary character in Marvel universe. However, his role was quite limited in the Avengers Infinity War. He came, tried to defeat Thanos by his mischief and got himself killed brutally. His death came as a shock to everyone and fans missed him throughout the movie. Now, his chances of being alive and returning to action are close to zero. However, we will get to see him in action as significant part of the movie is based on the Time Travel and as per the set photos, there is a good chance that we will see him during the flashbacks and when the team decides to travel back in time to solve the mystery of defeating Thanos. Alongside this character like Loki (Avengers 4 villains) deserves a proper farewell and we hope to see him in action to give the loved character a deserved goodbye. This marvel character became one the most powerful villain in MCU and stood strongly following Thanos and Loki. The fan-favourite Asgardian was the reason that we no more have beautiful Asgard. However, by the end of Thor Ragnarok, the fate of the character was not revealed whether she is dead or not. If by any chance she is alive the problems for Avengers are about to get worse. Because as per comics she has been the love interest of Thanos and when both are together it will be an impossible task to stop them. The crazy duo will go to any length to achieve the ultimate goal. However, her appearance as one of the Avengers 4 villains is rumoured and will be a surprise for fans. The Mad Titan is set to return on the big screen, and recently we got the glimpse of his new look for the Avengers 4. From the images, he surely looks prepared with the double-edged sword and the weapon that can destroy Avengers in one go. He undoubtedly gave tough time to Superheroes and snap of his fingers has caused the repercussions that can’t be reversed. The new team of Avengers will face him and decide the fate of upcoming phase in Marvel universe. Abomination is the nemesis of Hulk, and he undoubtedly made his presence felt in solo Hulk movie, Incredible Hulk. However after that most of the characters related to Hulk or Bruce Banner were never able to cut to the subsequent films. Marvel has kept these characters in the dark for the most part, and now the sudden appearance of Abomination can add much-needed depth to the Hulk’s character. But his introduction will be a difficult task at this moment and blot the movie with too many characters. So, there is a chance that the villain(Avengers 4 villains) may appear as a cameo to set up the future storyline for Hulk. This one villain is on top of my list, and I wouldn’t be wrong in saying that he will be on your list too. The appearance of Galactus by the end of Avengers 4 can change the whole dynamics of Marvel universe. Those of who don’t know about him, I would say that he is the most powerful villain in the Marvel comics, Yes! even stronger than Thanos. But his appearance is highly unlikely because currently, the rights of this character are with Fox but who knows Marvel may pull a blinder and give us the most epic villain in the whole Cinematic universe. This powerful villain appeared in the Guardians of the Galaxy Vol. 1. However, lacklustre character development made this villain easier to forget. He will be making his comeback in Captain Marvel as movie revolves around the Kree empire and being a Kree himself he will play a significant role in taking the story ahead. His presence in Avengers 4 is doubtful as he died Guardians of the Galaxy Vol. 1. But there are rumours that there are clones of Ronan that can make an appearance in this mega-crossover event. Also, there is a possibility of Thanos bringing him back from the dead because of his connection to the Kree soldier. Ronan, the accuser, is inevitably one of the powerful Avengers 4 villains whose presence can change the course of the story. He appeared out of nowhere in the Avengers Infinity War and left all of us surprised. Red Skull’s onscreen time was quite short still he played an essential role in taking Thanos closer to his goal. Fans believe that Red Skull has a much more prominent role to play in Avengers 4 and his interaction with Captain America will be a treat to watch. Let’s see this maniacal Nazi can cut to be a prominent list of Avengers 4 villains. These green shape-shifting aliens will be introduced to us in upcoming Captain Marvel Movie. She will first face them in her solo movie, and they will most probably return in Avengers 4, going by the theories Skree race will also suffer from the Thanos’ snap of fingers. Skree will blame earth for the vanishing of half of their race. This will probably set up the secret invasion storyline where Skree started hiding on our planet as Yakuza to take revenge. In Avengers Hawkeye‘s alter ego Ronin will be tasked with finding these shape-shifting aliens and neutralise them. These dominant alien race can set up the whole plan for phase 4 of MCU and will undoubtedly be the most interesting Avengers 4 villain. In comics, Lady Death (Avengers 4 villains) is the reason behind Infinity Wars as Thanos is mesmerised by her. In the wake of winning her heart, he tries to demolish the half of the universe population using the Infinity Gauntlet. However, in Avengers Infinity War Thanos had a much clear motive that is of balancing the universe by wiping out the population. However, her appearance in the Avengers 4 can take the story to another level and will surely please fans. Death being a cosmic entity herself she can genuinely add gravitas to the plotline of the Avengers 4. There are rumours that Thanos’ puppet Ultron will be making a comeback in Avengers 4. 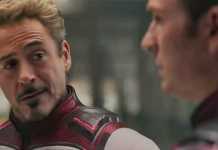 The robot created by Tony Stark to save humanity had the same motive as Thanos, to start life from the new beginning, however, Avengers stopped him. Now, he might be returning but maybe as a hero. There is a slight rumour that Tony will again create him to help them against Thanos but we are expecting that he will change sides in the movie and will serve as an Avengers 4 villains. If this happens, the winning chance of Avengers against Thanos and Ultron are quite minimal. What are your views on the list of villains that may or may not appear in the Avengers 4? Do you have any name to add to the list of Avengers 4 villains? Do let us know in the comments section below. Blackmail Trailer Review, Blackmailer Irfan Gets Blackmailed!